Bu TLex I see a lot of cool watches in my capacity as editor of OceanicTime; sometimes, when I'm preparing their images, I find myself it in a bit of a daze just gawping at them because they are so cool - this is a whole 'nother level of coolness! Last week we saw the new PATRIOT from Vintage-VDB with its sweeping architectural lines carved into a massive 49mm Stainless steel case and its high-sitting knurled bezel and crown at 8 o'clock. 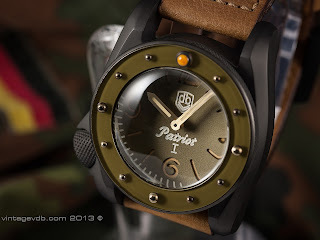 This is the Patriot I. 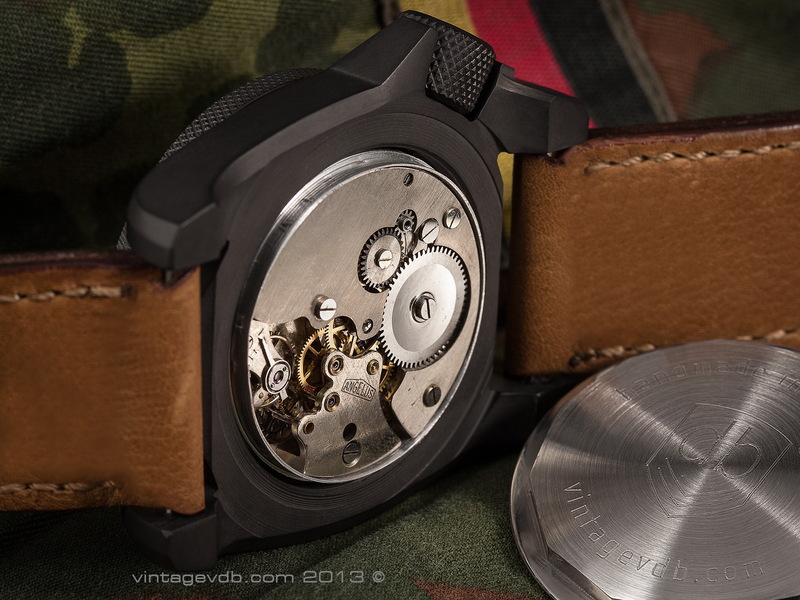 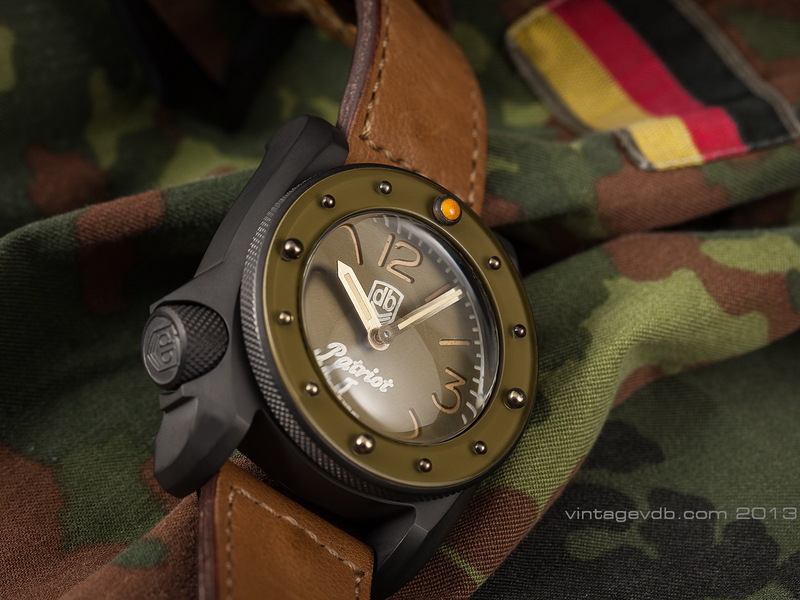 It's the same watch, but with a PVD coated case and powered by a different vintage caliber. 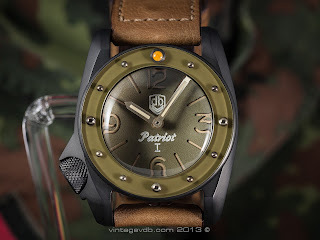 Special features of the Patriot I include: a hand-painted sandwich dial and an old school Angelus caliber of the type that was used in historic Panerai watches such as the Egiziano. Just 2 examples of the Patriot I will be produced. Follow the link embedded below for more on this and other VDB handmade models . . .